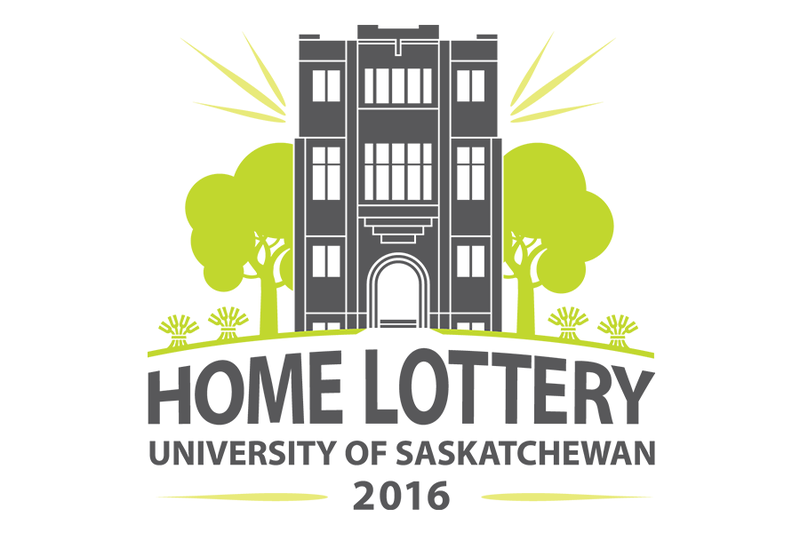 Funds raised from the lottery will support a number of special initiatives at the U of S.
Happy April Fool's day...The inaugural University Home Lottery fundraising campaign is set to launch on May 1, 2016, with a host of prizes up for grabs. "Hospitals have been doing this type of initiative for decades," said Jeff Dumba, associate vice-president, financial services. "They present an excellent way to engage with the campus community and the general public at large, while raising revenue for important initiatives." Those who buy tickets, sold for $100 each or five for $400, will be entered to win the grand prize: a loft located right at the heart of campus. "We needed a big prize to get interest, so we renovated the top two floors of Sask Hall into a modern loft," explained Dumba. "This is modern downtown living right on the U of S campus." Features of the Sask Hall loft include open concept design, newly installed skylights, two bedrooms, den, two bathrooms, a sauna/Jacuzzi tub, shared laundry and access to all campus amenities. "This is an incredible space. You have to see it to believe it," said Dumba, adding that the concept of renovating current living space on campus opens lots of opportunities at the university. "We've recently expanded our residence offerings with new buildings in College Quarter. This opened up avenues for use of the top floor of one of the university's original residence halls for other purposes," said Dumba. "We have this incredible real estate asset, and there's no reason we can't use it for more than one purpose." Quintin Zook, director of consumer services, admitted that it will take a special resident— one who will be tolerant of busy student life going on around them. "They'll need to be okay with Orientation week fun and residence life in general," said Zook. "We think there are enough former residents of Sask Hall who may have nostalgia for their years in res that they'll see having undergraduate neighbours as a big plus. Maybe they'll even join in a bit." Other prizes, Dumba continued, are an all-expenses-paid night on campus (including dinner for two at Marquis Hall and a room for the evening in Ogle Hall, which was recently converted to researcher residences); passes to tour the Natural History Museum, the Museum of Antiquities, and the University Library; as well as a range of gift cards to Harvey's, A&W, Le Crépe Bistro and Mac's Convenience Store. Funds raised from the lottery will support a number of special initiatives at the U of S; top of the list is a fleet of snowmobiles for Protective Services to enable access to all areas of campus, particularly research fields to the South and East of core campus. The financial goal for the initial lottery, Dumba continued, has been set at a rather modest $500,000. "This will be a good way for us to test the interest in such a campaign," he said. "We think this estimate is on the low side and if that is the case, we may have tapped into a new revenue stream." Starting April 1, the campus community can purchase tickets at the home lottery website where they will be greeted with a jolly April Fool's Day message.